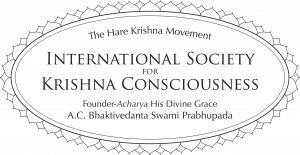 The Hare Krishna movement is a popular name for the International Society for Krishna Consciousness (ISKCON), a worldwide community of devotees practicing bhakti yoga. This yoga is the eternal science of loving service to Krishna, or God. The philosophy of this movement is rooted in ancient Vedic texts, particularly the Bhagavad Gita (Song of God), which contains the essential teachings of Krishna on how to achieve the highest perfection of life. Krishna is a name of God meaning “the all-attractive one,” and Rama is another name meaning “the reservoir of pleasure.” Hare invokes His presence in our lives. This Maha (great) Mantra is chanted either congregationally (sankirtan), or individually (japa), as a meditation. Since each of us is constitutionally a part and parcel of God, the chanting of His holy names brings one innate satisfaction and the highest pleasure. 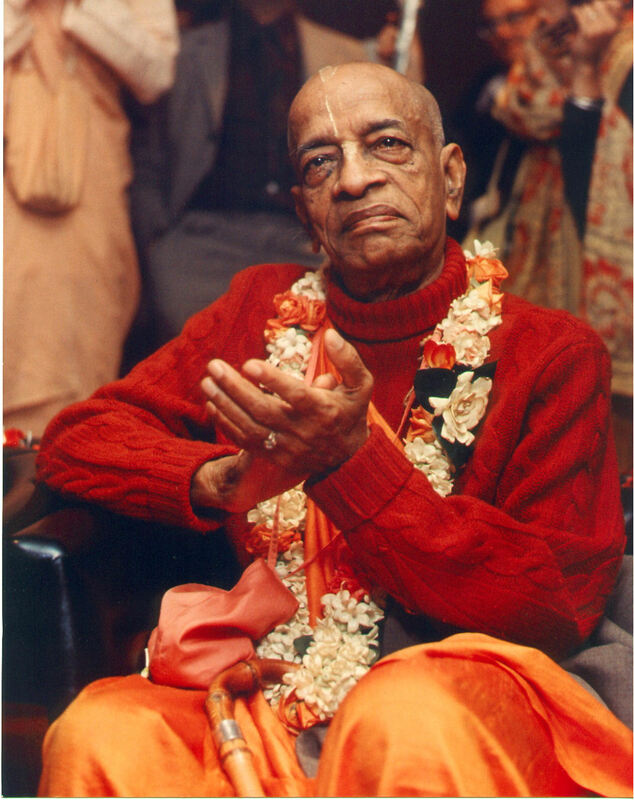 The movement was founded in 1966 by His Divine Grace A. C. Bhaktivedanta Swami Prabhupada (1896-1977), who is our preceptor and main teacher/acharya. He belongs to the long chain of disciplic succession of teachers in the Gaudiya Vaishnava tradition. Srila Prabhupada traveled from India to New York City and single-handedly began a world-wide confederation of over one hundred temples, farm communities and institutes. By sincerely cultivating a genuine spiritual science, we can be free from anxiety and come to a state of pure, unending, blissful consciousness in this lifetime. We are not our bodies but eternal spirit souls, parts and parcels of God (Krishna). As such, we are all brothers, and Krishna is ultimately our common father. Krishna is the eternal, all-knowing, omnipresent, all-powerful, and all-attractive Personality of Godhead. He is the seed-giving father of all living beings, and He is the sustaining energy of the entire cosmic creation. The Absolute Truth is contained in all the great scriptures of the world. However, the oldest known revealed scriptures in existence are the Vedic literatures, most notably the Bhagavad Gita, which is the literal record of Krishna’s actual words. We should learn the Vedic knowledge from a genuine spiritual master – one who has no selfish motives and whose mind is firmly fixed on Krishna. Before we eat, we should offer to the Lord the food that sustains us. Then Krishna becomes the offering and purifies us. The recommended means for achieving the mature stage of love of God in this age of Kali, or age of quarrel, is to chant the holy names of the Lord, the Hare Krishna Mantra.